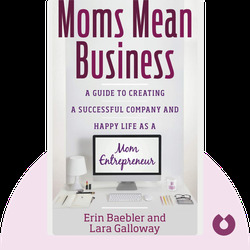 Moms Mean Business is a guide to time management for mom entrepreneurs. These blinks help you discover where your true priorities lie, and provide you with planning techniques that will make it possible for you to dedicate more time to your ambitions and yourself. 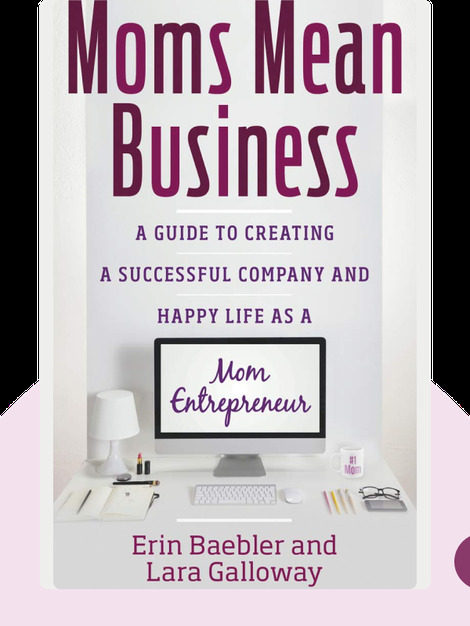 Erin Baebler is an entrepreneur and public speaker. Her coaching company Magnolia Workshop caters to the needs of businesswomen. Baebler contributed to Chicken Soup for the Soul and Five Must-Know Secrets for Today’s College Girl. Lara Galloway is an author, public speaker and founder of MomBizCoach. She has been featured in Forbes and the Chicago Tribune. Forbes lists her as one of the “Top 30 Women Entrepreneurs to Follow on Twitter”.